As a rule of thumb, if you’re a company and you charge a customer for a service or product, you’re supposed to actually provide that service or product. That apparently wasn’t a practice adhered to by two credit card add-on companies that must now pay millions of dollars in fines and refunds. The Consumer Financial Protection Bureau took action today against Affinion Group Holdings, Inc. and Intersections Inc. for unfairly charging consumers for credit card add-on benefits they never received. Add-on services such as credit monitoring or identity theft protection are often offered to customers by their credit card companies or third-party vendors for an extra monthly fee. According to the CFPB complaints, Affinion and Intersections are both vendors of these types of products, and partnered with banks to provide such services to credit card holders and other bank customers. An investigation into the companies found both engaged in unfair practices related to the billing or administration of these products, in violation of the Dodd-Frank Wall Street Reform and Consumer Protection Act. In Affinion’s case [PDF], the CFPB alleges that from about July 2010 through August 2012, the company enrolled consumers in add-on products that claimed to provide benefits including credit monitoring, credit report retrieval, or both. The services generally cost between $6.95 and $15.99 per month, and customers were typically billed directly to their credit cards or bank accounts. The Bureau alleges that Affinion or its partner banks billed full product fees to at least 73,000 accounts while failing to provide the full credit monitoring or credit report retrieval services promised, and failed to refund fees to those consumers. When customers called to complain or cancel the add-on service, Affinion retention specialists provided inaccurate or incomplete information about the value and benefit of add-on products, the CFPB claims. During some calls, Affinion retention specialists claimed they could directly remove inaccurate information from consumers’ credit reports and raise their credit score as a result. However, according to the CFPB, the company had no control over the information contained in a consumer’s credit report. According to the CFPB complaint against Intersections [PDF], the company began its unfair billing practices earlier. The company – which had agreements with about 35 banks – marketed and sold add-on products to consumers, promising them access to their credit reports and a credit score, email, or phone alerts when new credit accounts were opened, and access to a phone representative to respond to their credit report questions from 2009 to early 2013. Intersections’ add-ons generally cost between $8 and $10 per month, which was typically billed directly to customer credit cards. The CFPB alleges Intersections billed or instructed the banks to bill approximately 300,000 consumers who signed up for their products knowing they were not receiving all the benefits. To settle the unfair billing charges, the CFPB announced that Affinion [PDF] and Intersections [PDF] entered into proposed consent orders that require them to provide refunds to affected customers. Affinion must pay approximately $6.8 million in refunds to about 73,000 eligible consumers who enrolled in the credit monitoring products between July 2010 and August 2012 and were charged for services that were not received, but who have not already received refunds. 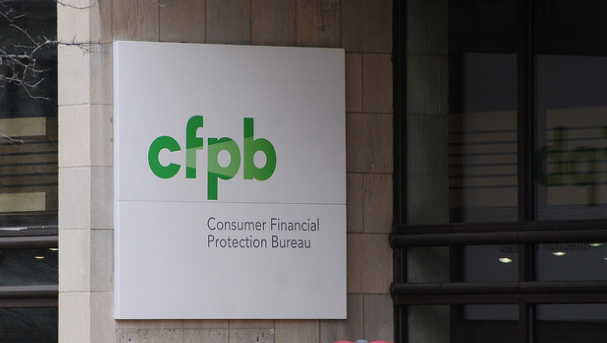 The company must also pay a $1.9 million fine to the CFPB’s Civil Penalty Fund. Intersections must pay approximately $55,000, to customers who, for at least one month, were billed for identity theft or credit monitoring products, but were not receiving full product benefits. The company previously entered into an agreement with the CFPB that required it to refund some customers. The Bureau estimates the company only has about $55,000 in refunds left to disseminate. Intersections must also pay a penalty of $1.2 million to the CFPB’s Civil Penalty Fund.